Sat., Nov. 4, 2017, 10:20 p.m.
Maddie Lee recorded 15 kills and Mead (24-2) swept visiting Richland (25-17, 25-13, 25-23) in the 4A District 8 championship on Saturday. Lindsey Russell added 42 assists with two service aces for the Panthers. Mead advances to the state tournament on Friday as the district’s No. 1 seed and Richland receives the second seed. Walla Walla 3, Gonzaga Prep 1: Kate Budig led the Bullpups with 15 kills but the Blue Devils defeated the Bullpups in four sets (25-20, 25-20, 12-25, 25-23) in the 4A District 8 loser-out third-place match at Mead HS. Emily Zink added 20 assists and five service aces for the Bullpups. Walla Walla 3, Central Valley 2: The Bears lost to the Blue Devils in five sets (25-12, 21-25, 13-25, 25-18, 15-11) in a 4A District 8 loser-out consolation match at Mead HS. Gonzaga Prep 3, University 1: Kate Budig had 20 kills and the Bullpups beat the Titans in four sets (21-25, 25-15, 25-15, 25-7) in a 4A District 8 loser-out consolation match at Mead HS. Emily Zink added 24 assists and four service aces. Mt. Spokane 3, Kamiakin 0: Miahna Waters notched 14 digs with five service aces and the Wildcats defeated the visiting Braves (25-13, 25-15, 25-17) in the 3A District 8 championship, earning the district’s top seed to state. Malina Ama led the Wildcats with 10 kills. East Valley 3, Prosser 1: Chloe Chalfant had 16 kills with four service aces and the Knights punched their ticket to the state 2A tournament with a four-set win (25-18, 25-18, 14-25, 25-20) over visiting Prosser. Selah 3, Cheney 2: Peyton Stark had 36 assists with two service aces but the visiting Blackhawks fell to the Vikings in five sets (23-25, 25-18, 20-25, 27-25, 17-15) in a 2A GNL-CWAC loser-out crossover. Freeman 3, Cashmere 0: Hanna Hansen collected 32 assists, two blocks and a pair of aces and the Scotties advanced to state, sweeping the visiting Bulldogs (25-15, 25-7, 25-7) in a 1A CTL-NEA loser-out crossover match. Rhea Jansen recorded 14 kills and 11 digs for the Scotties. Chelan 3, Newport 1: Olivia Witter dished out 34 assists but the visiting Grizzlies lost to the Mountain Goats in four sets (23-25, 25-20, 25-18, 25-17) in a 1A CWAC-GNL loser-out crossover. Cora Pelleberg added 14 kills for the Grizzlies. Almira/Coulee-Hartline 3, Selkirk 0: Josie Pierce served up 20 assists and the Warriors defeated the Rangers (25-9, 25-20, 25-12) in the District 7 1B championship match at Northwest Christian HS to earn the No. 1 seed to the state tournament. Selkirk also makes the state tournament as the second seed out of district 7. Odessa 3, Northport 2: Maddy Wagner had 18 kills and the Tigers beat the Mustangs in five sets (25-27, 25-12, 25-19, 21-25, 15-8) in the District 7 1B loser-out, third-place game at Northwest Christian HS. Odessa advances to the state tournament on Thursday in the Yakima Sun Dome. Northport 3, Republic 0: Isabelle Bair had 22 assists with four service aces and the Mustangs defeated the Tigers in four sets (24-26, 25-23, 25-21, 25-23) to advance to the District 7 1B third-place match at Northwest Christian HS. 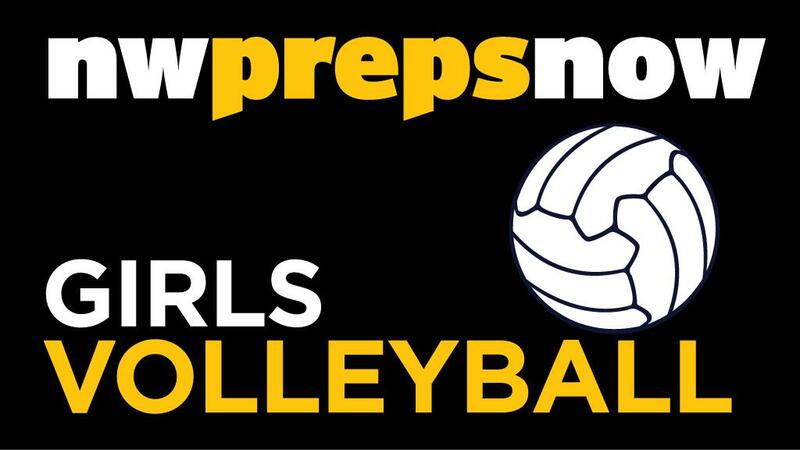 Odessa 3, Valley Christian 1: Brenna Carstensen dished out 28 assists and the Tigers beat the Panthers in four sets (14-25, 25-20, 25-18, 25-22) to advance to the District 7 1B third-place match at Northwest Christian HS. Published: Nov. 4, 2017, 10:20 p.m.